When homeowners and contractors throughout Indiana require superior quality in their glass blocks and outstanding customer service, they turn to the glass block experts at Block It Glass Block. 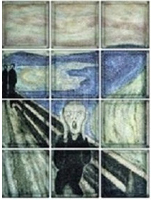 Whether you are looking to add a new dimension to your projects, Block It Glass Block can turn your vision into reality. 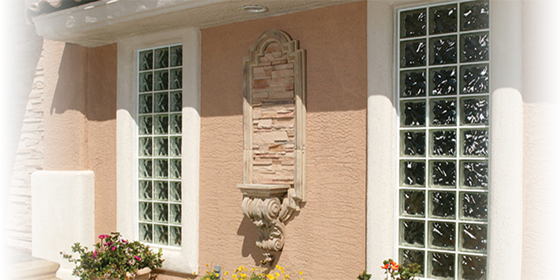 Homeowners and builders looking for glass block windows will appreciate our huge selection and affordable pricing on our Thinline residential 3 1/8” glass blocks. We also offer 3 7/8” standard glass block in our Premiere line for Builders and homeowners looking to create glass block showers, room dividers, walls, bars, windows and more. For customers looking for glass blocks with 60 and 90-minute fire ratings, our Thickset glass blocks can meet your needs. All of our products are manufactured in the U.S.A and we offer an extensive inventory of individual glass block, glass block products, and glass block accessories. No matter what your project size, we can provide you with everything you need to get the job done. Glass blocks from Block It Glass Block are manufactured in the U.S.A. by Pittsburgh Corning. 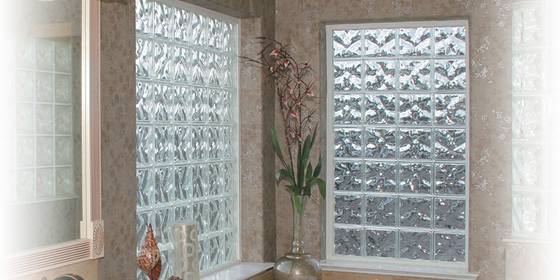 We provide individual glass block for both residential and commercial applications. 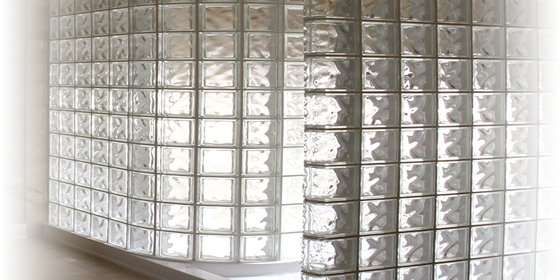 Whether you are looking for a traditional looking glass block, or you require a more unique design pattern, we can provide the perfect solution for your next project. 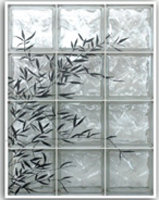 For customers looking for glass block windows, Block It Glass Block has the perfect solution. We offer a complete selection of pre-fab, vinyl wrapped, aluminum clad, and energy efficient glass block windows. Our glass block windows are surprisingly affordable and can add security, privacy, and beauty to any commercial or residential project. 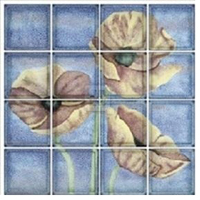 Glass Block Kits from Block It Glass Block are a great way to add unique style to your home. 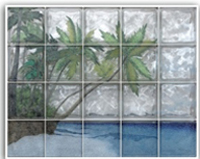 We offer a wide selection of glass block kits, or we can help you create your own custom kit. All of our kits come with all the glass block products you will need to complete your glass block shower, glass block wall, or glass block bar. Expand the design possibilities of any glass block project and unleash your creativity with color glass blocks from Block It Glass Block. We offer a wide variety of color glass block that will help you to design and create residential or commercial projects that are visually stunning as well truly unique. At Block It Glass Block we believe in providing homeowners, designers, and builders with the highest quality products. Our Pittsburgh Corning glass blocks are backed by a 5 year limited warranty. 100% customer satisfaction is our ultimate goal. We believe in going above and beyond to provide our customers with pre-fabricated glass block products, individual glass blocks, as well as complete custom designed glass block systems that exceed expectations. From concept to completion, the knowledgeable professionals at Block It Glass Block can help you make your dreams a reality. We also offer a complete line of a glass block tools and associated products to help you to complete any project. Contact us today to discover for yourself the reasons why we have become Indiana’s premier supplier of glass blocks! 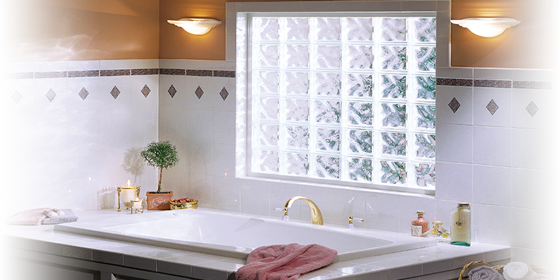 Free Estimate from our professionals on any type of glass block window installation. Free energy smart upgrade with all glass block window installations. Ask us for details. Free energy smart upgrade with all glass block window installations. 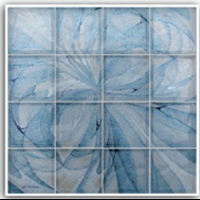 We can create a custom mural from beautiful glass block or you choose from several stanadard patterns. 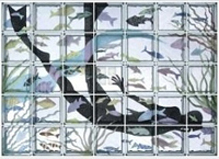 We can create a custom mural from beautiful glass block or you choose from several standard patterns. Block It Glass Block • (219)989-8000 | Check our our parent company: Quality Glass Block, Inc.